Description: Because they don't always see you coming, but they sure see you going! 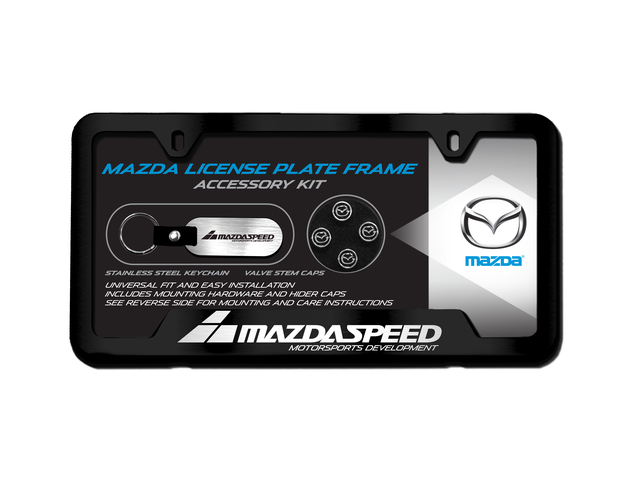 Mazda's top-of-the-line license plate frames put the finishing touch on the back of your ride. With multiple sizes and finishes available you can find the perfect accent for your Mazda. Also includes a Mazda Keychain and logo Valve Stem Caps for the true Mazda enthusiast.